Keltruck, Europe’s largest independent Scania dealer, will be doing some “special deals” on used trucks at Convoy in the Park at Donington Park on 21-22 July. Gough also said that anyone buying a used truck from Keltruck between now and July 20 will automatically get free weekend tickets (subject to availability) to Convoy in the Park. In addition, Keltruck is auctioning its high spec Scania XT demonstrator for charity at Convoy in the Park. The R500 NA High Roof 6×2 tractor, which comes complete with a host of factory options and aftermarket Kelsa light bars, is currently on a tour of 16 of Keltruck’s 18 UK dealerships and people are encouraged to place sealed bids for it. 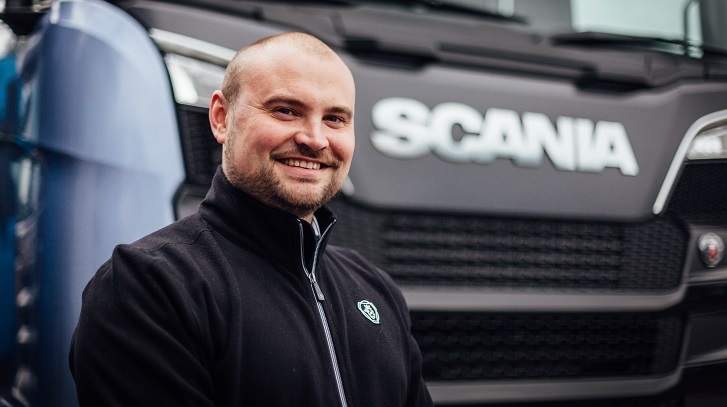 As part of this, Keltruck is also running a social media competition, where anyone who takes a selfie in front of the vehicle while visiting a Keltruck dealership and then publishes it with the hashtags #KeltruckXT #ScaniaUK and will receive a limited edition Scania XT mug. For more information, click here. Convoy in the Park is the ultimate festival celebrating trucks, drivers and life on the road. At the event, there will be a full programme of racing, including the 5th round of the British Truck Racing Championship. Off-track, there will be live music, more than 1000 show trucks, and a range of entertainment for all the family.